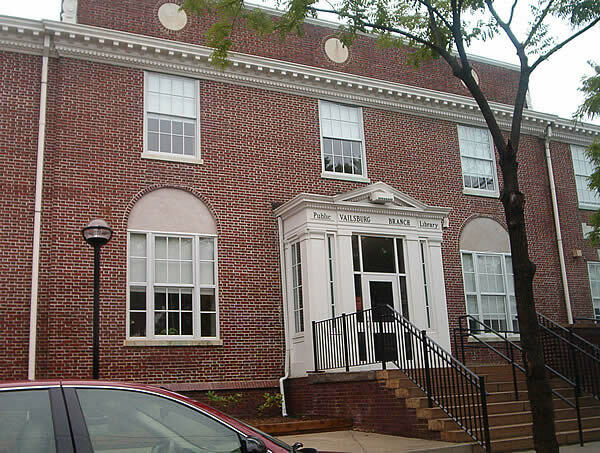 The Vailsburg Branch of the Newark Public Library was opened in October 1927 at a cost of $71,412. The building is a modified type of Georgian architecture, red brick with white stone trim. The first floor houses the Adult Room and a work room. The second floor houses the Children's Room, a staff rest room and a kitchenette. Colored lithographs and other pictures decorate the walls from the collection of the Main Library. Each of the two rooms has a museum case which exhibits items from the NEwark Museum.